Opened by the team behind Foodie fave Masala Train in Wanchai comes Cardamon Street, the latest addition to SoHo’s food scene. 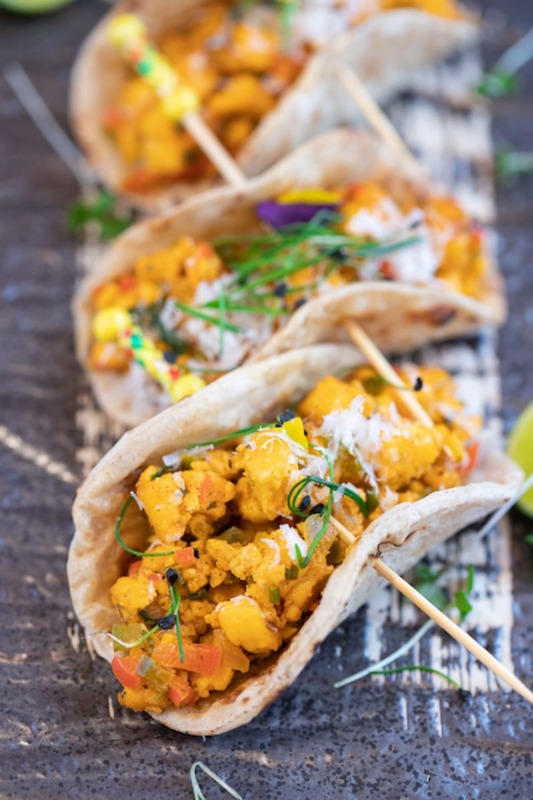 It brings a whole new concept to Hong Kong, taking international favourites like tacos and burgers and infusing them with modern Indian flavours. Highlights include chicken tikka sliders, lamb keema tacos, paneer croquettes, rasam ramen and many other innovative Indian fusion dishes. Glam yakitori restaurant Birdie showcases prized chicken parts grilled on binchotan charcoal complemented by homemade sauces. A branch of a popular ramen spot in San Franciso, Nojo is all about about ramen, oden and sake. Opening in mid-April is H Code’s newest tenant, PIIN Wine Restaurant, an independent wine restaurant launched by the owners of two of Burgundy’s most acclaimed domaines, Château de Meursault and Château de Marsannay. The more than 2,000 Burgundy bottles are complemented by a fine-dining Cantonese menu featuring small plates created by a former chef from Fook Lam Moon. French fine diner ROOT is helmed by a chef couple who focus on using local, seasonal ingredients. Read our review. Wagyu beef specialist Yakiniku Great has opened its second Hong Kong location at H Code. We can never get enough of this Japanese BBQ chain’s expertly grilled rare cuts of deliciously lean Wagyu. 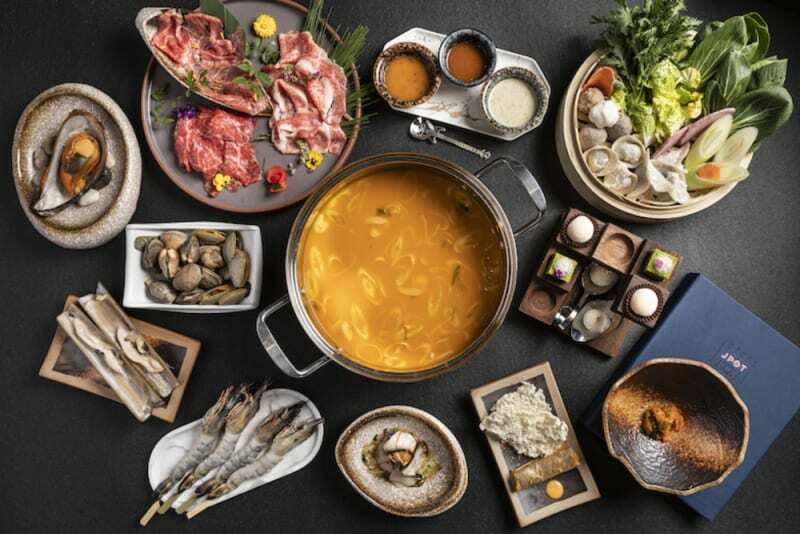 Formerly sous-chef at Michelin-starred Takumi by Daisuke Mori, CIAK and La Petite Maison, Ken Kwok is branching out on his own later this month with elevated hotpot restaurant J POT in Causeway Bay, offering both tasting and à-la-carte menus. Its USP is Hiyama Wagyu, showcased at J POT for the first time outside Japan. Homemade sauces like sea urchin soy sauce and French tamarind vinaigrette and a range of homemade pastas also set it apart from other hotpot joints around town. 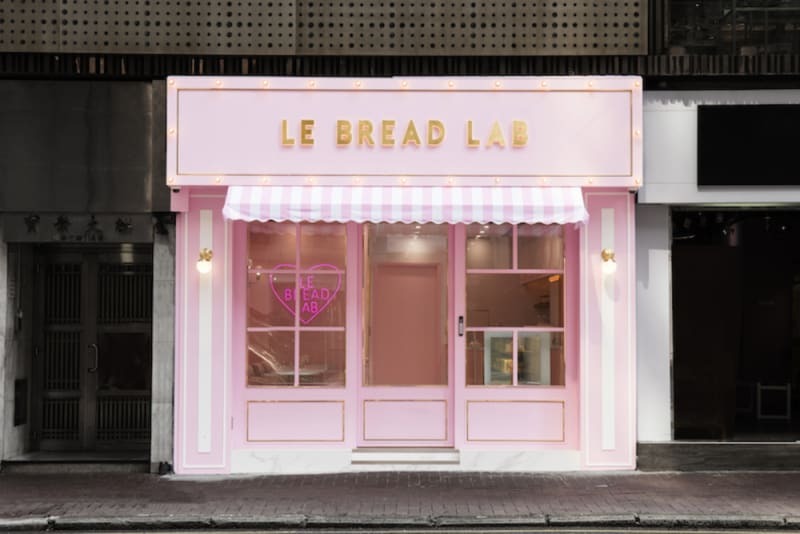 Hot on the heels of Korean dessert shop extraordinaire LE BREAD LAB’s Hong Kong debut at Mira Place One in TST East last last year comes the launch of its pretty little pink flagship boutique in Causeway Bay. In addition to its signature strawberry omelette and strawberry sponge cake, the CWB branch has unveiled three supremely ‘grammable dessert collections: rainbow cake (header image), strawberry cake and molten lava cake. Our pick of the lot is the rainbow strawberry cake for the best of both worlds. 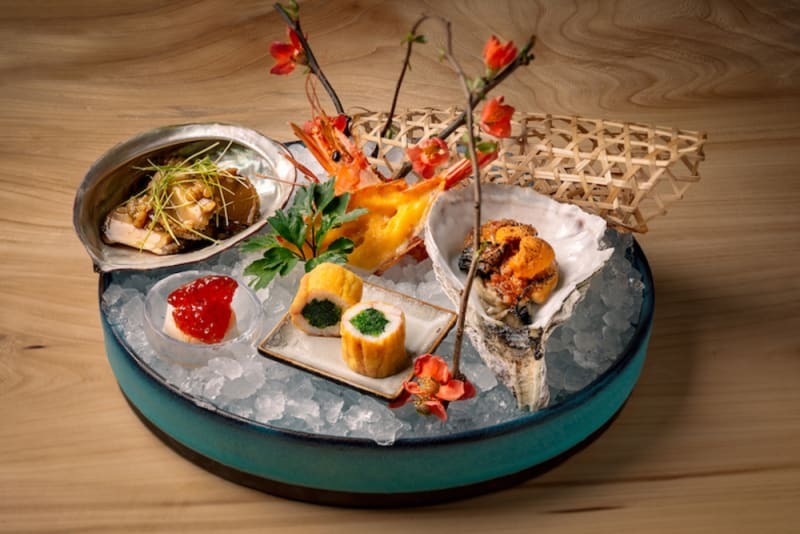 Intimate NOMU is adding itself to the ever-growing list of omakase restaurants in Tsim Sha Tsui, specialising in sake and seasonal Japanese ingredients. The omakase menus are presented in an authentic yet affordable and approachable way, with dinner menus ranging from $880–$1,880 per person and lunch menus starting from only $280. NOBU, eat your heart out. At The Butterfly Patisserie, designed in the style of an upscale jewellery shop, tiered cakes, exquisite pastries, chocolate bonbons and artisanal gelato and sorbet are presented in glass cases like glittering jewels. 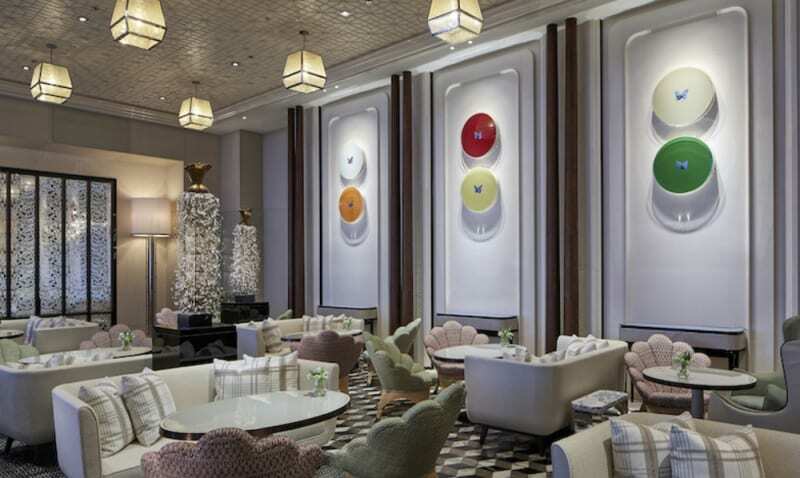 The Butterfly Room is Rosewood’s elegant all-day lounge (above), where afternoon tea is the star of the show. 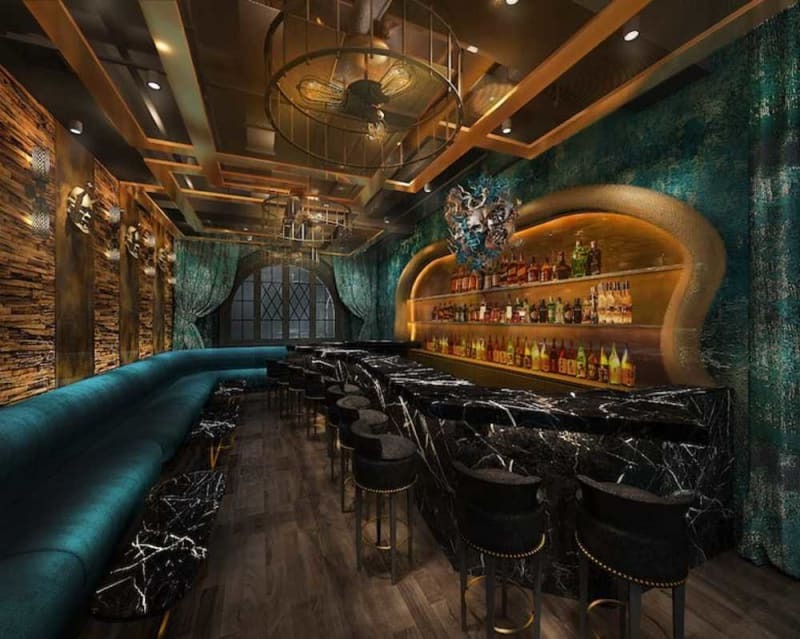 We’re over TST being referred to as the “Dark Side”, but this edgy cocktail bar pays tribute to the Kowloon district where the Rosewood resides. Vintage cigars, an outdoor terrace and live jazz are draws. Named after the historic Holt’s Wharf where the hotel was built, Holt’s Café presents international and Cantonese all-day dining in a turn-of-the-century brasserie setting. This fine-dining Chinese restaurant boasts a spacious outdoor terrace, sweeping harbour views and seven private dining rooms. Sophisticated all-day dining, including afternoon tea, with a terrace. The jewel in The St Regis Hong Kong crown, this French fine-dining spot is helmed by Olivier Elzer, formerly of Seasons in Causeway Bay, who has a staggering 18 Michelin stars to his name. Acclaimed Chinese chef Hung Chi-Kwong is the master behind this contemporary Cantonese restaurant. 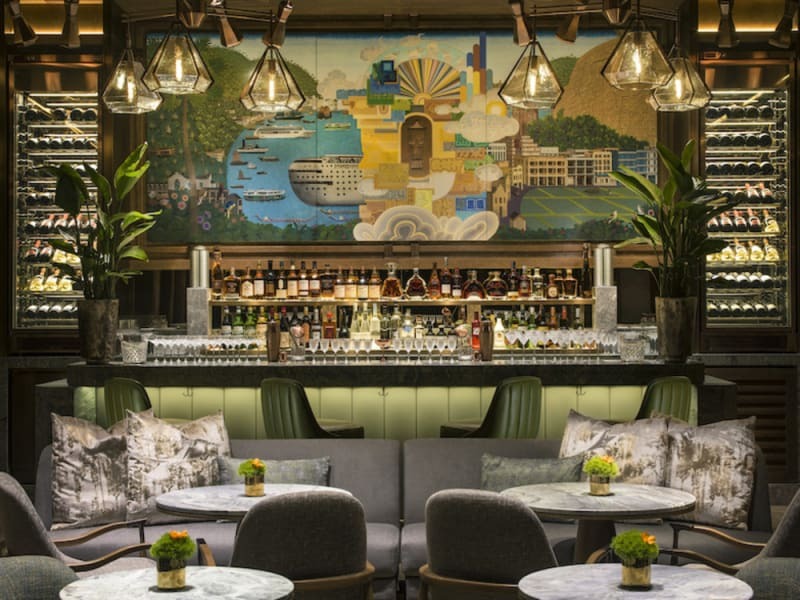 St Regis Bars around the world are iconic watering holes, and the Hong Kong version (pictured above) sounds no different, where more than 800 wines and 100 champagnes are on the menu, along with nightly live jazz. With branches in LA, NY, Bangkok and Tokyo, Michelin-starred Sushi Zo will bring Cali-Japanese omakase dining to Tai Kwun. The nightly-changing 18-dish omakase menu ($2,500/person) can only be booked for a maximum of 14 diners each evening in two sittings. Gishiki Lounge (pictured) is Sushi Zo’s theatrical cocktail-loving sibling, where the menu includes 18 carefully curated tipples utilising flavoured ice blocks pressed into the shape of Hannya masks, gold-leaf sake, live siphon-brewed spirits and dry ice. Although we’re sad to report that Jason Atherton’s Aberdeen Street Social has shut its doors at PMQ (we’ll miss our long, lazy brunches there), we’re bouldered by that fact that Chef Julien Royer of Singapore’s two-Michelin-starred Odette – crowned Asia’s Best Restaurant this year – is partnering with Yenn Wong of Hong Kong’s JIA Group to open a French restaurant in the former Ab Street space this coming June. That’s our summer eating plans sorted!